The journey started from Soekarno Hatta airport, where i should check in and wait for the boarding time all by myself. While keep contacting a connection i just had in Bali, to pick me up at the Ngurah Rai airport. Well this man, i never met before, i just know him from a networking site, couchsurfing. In the end, this site really help me alot. Help me find a walking buddy, a transit friend, and a guide! On May 22 i departed, after contacted that person i barely knew which i surely have no idea what he looked like and neither he was. He picked me with his motorcycle once i arrived, and then introduced me to another friend of him which -with a big luck- ride me around the next day. i didnt know him too. Its just a quick connection and trust did work in here. If i am not believing in him, then i wont be able to see and enjoy the beaches with his motor cycle. Moreover, i could get kidnapped or cheated or even worse.! But trust me, u can trust Bali more. Both of them help me find a cheap hotel around legian and poppies. Those places famous for its cheap and international hotels, which means, alot of tourist from abroad live there. It really is a touristic spot since they have it all there. There are travel agents, internet cafe, restaurant, car and bike rent, board surf rent, and accessories. But in Bali, just dont trust the seller too much. The price they offered you might be alot too much than average. Your bargaining power might help in here ;). On the first day i did not need to rent a bike or car since this friend offered me a full day ride. i just need to pay for his gasoline and paid him lunch which wont cost me much. and that was so nice of him, and i really appreciated that. He ride me from beach to beaches, visited some national monument called GWK in bali, and also helped me get the best price for water sport activity. He has bunch of friend in travelling world. 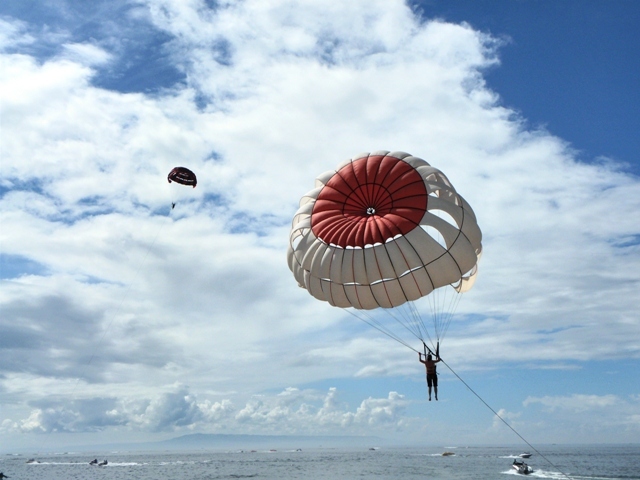 i tried this parasailing thing which cost me Rp80,000 (they firstly give me Rp150,000 price, weww). But unfortunately it was just too short and ended about 5-10 minutes in the air. The first time ur feet off the ground, u will feel a little sensation of fear. But then , when u see view from the top, its just way too wonderful and fascinating that u could forget ur own fear and started to enjoy the dance of the wind. Later on, when u still trying to figured out things, the operator already shouted loud out to u which mean u should end the tour and pull the trigger to land soon. From Benoa (the water sport centre), we continue our ride to another beautiful beaches and paradise, like dreamland, padang padang beach, blue point, padang bait, nusa dua (i love this beach most) and finally to uluwatu, to see a view of “pura” built on the top of escapmen, a mountain side with steepy rock. 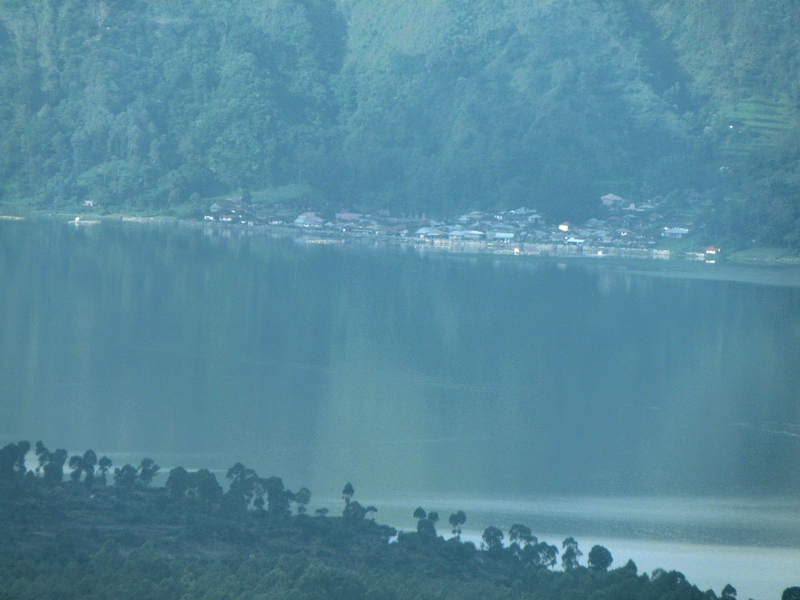 Far under this mountain side, waves dance beautifully, with interesting color gradation of water. from aquamarine in the shallow coast, into perfect and prussion blue water in the deeper sea. Slowly but sure, the sun going down, resting in peace with yellow ride twilight dispersed into the sky. Such an interesting escape to meditate and making peace with nature. We make a sudden plan for tomorrow. Lauren -my taipei friend name- love nature and culture, and so did i. So we decided to visited Ubud, and having lunch in Kintamani, a peak mountain place with cool air, and a big misty mountain in one side. There was a lake far down there, which based on my driver information, did a strange and so much unique culture regarding corpse. They did not buried the dead body. Instead, they just wrap him in a winding sheet, and then hang that body on a tree. Until all their physical evidence dissapear, and what left is just bones! We also visited a traditional market in Ubud called sukowati. This place really is famous but what i can see is just ‘it’. 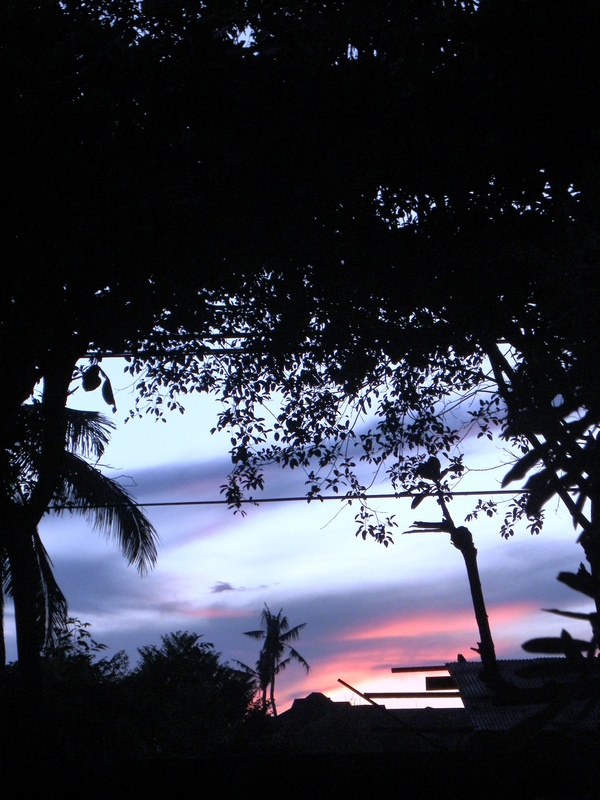 There is only a few shops, some balinese who sell it traditionally, and a plus plus mark up on price. We should really bargain in this place if we did not want to get cheated or felt fooled to pay more that it should. 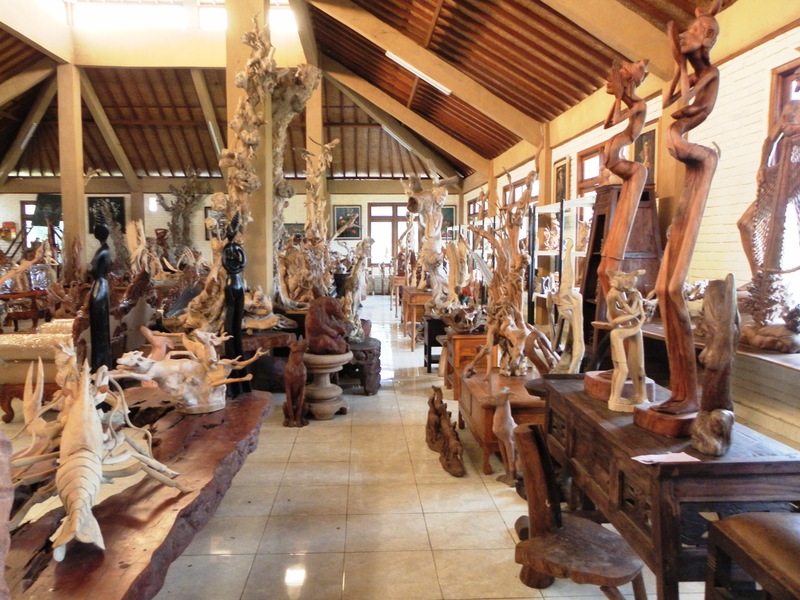 Ubud has a very authentic handicraft and sculptor. They made this fascinating statue. Some of it were made of one whole stem. Some are big, some are small but full of details. We just walked around and adore the whole creation, because we surely have no enough money to buy. Its quite expensive of course, since they made in 3 months for the fastest. 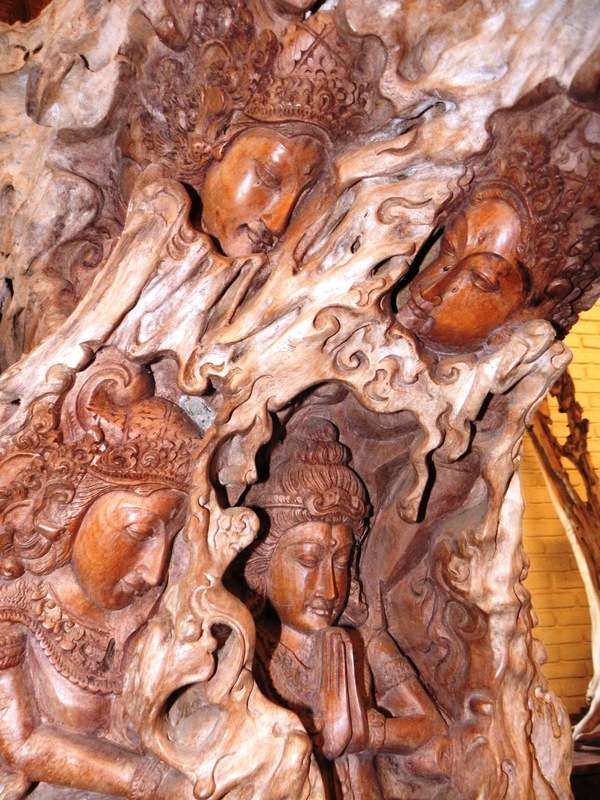 The other might need years, because they also need to process the original tree into a good condition and solid wood. On the third day, we separated. Lauren try to find another walking body and so did i, already have a catch up promise with my junior high friends. She work there almost for one year. We rent a bike, she drove :P, for only Rp 55,000. So much cheaper compared to our car rent the day before which cost me Rp 200,000, and Lauren for the same amount. Well, the comfort level should be different too, but thats fine for me. We visited the famous tanah lot, shopping at Joger (this one is like dagadu from jogja), an authentic young man creation originally from Bali and also shop for souvenirs in the one stop department store. The building is big, contain many kind of souvenirs, foods, and all. 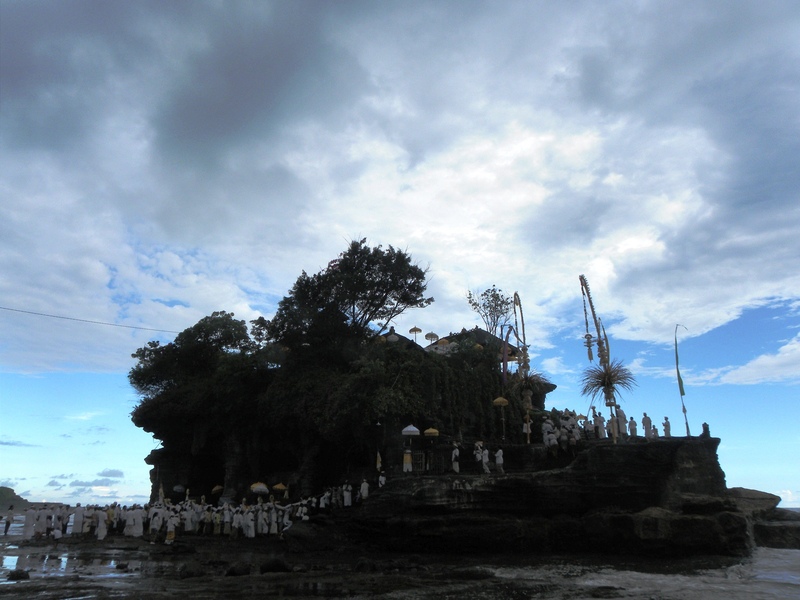 I bought some for gift, and spend quite a bunch of money :D.
Tanah lot really is wonderful. We found a couple of japanese who took a pre wedding picture in there. Kawai! But unfortunately its rain when we were about to enjoy the sunset. 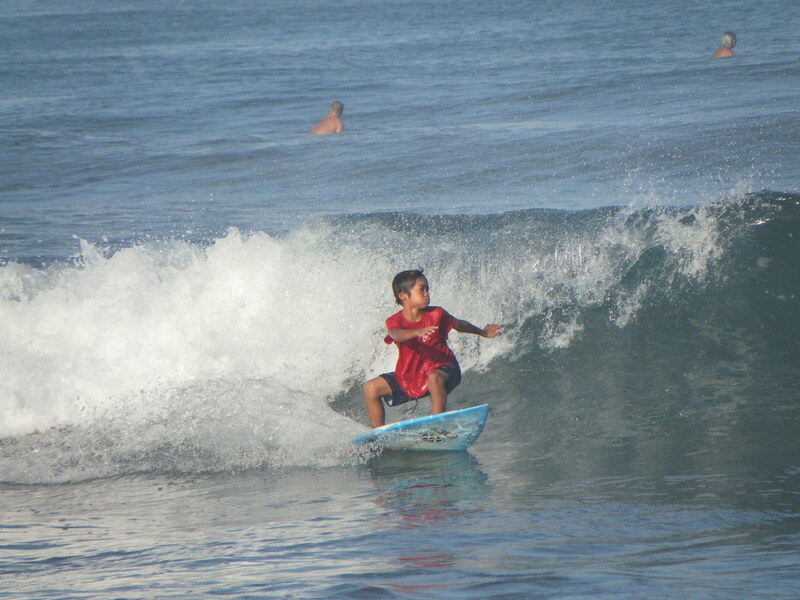 Many balinese young boy and also some foreigner who have extra courage challenge the big wave beside the hills we climbed up. With tinge orange around the water – air space between sky and sea, in the horizon. Perfect!, even with mizzle around us. 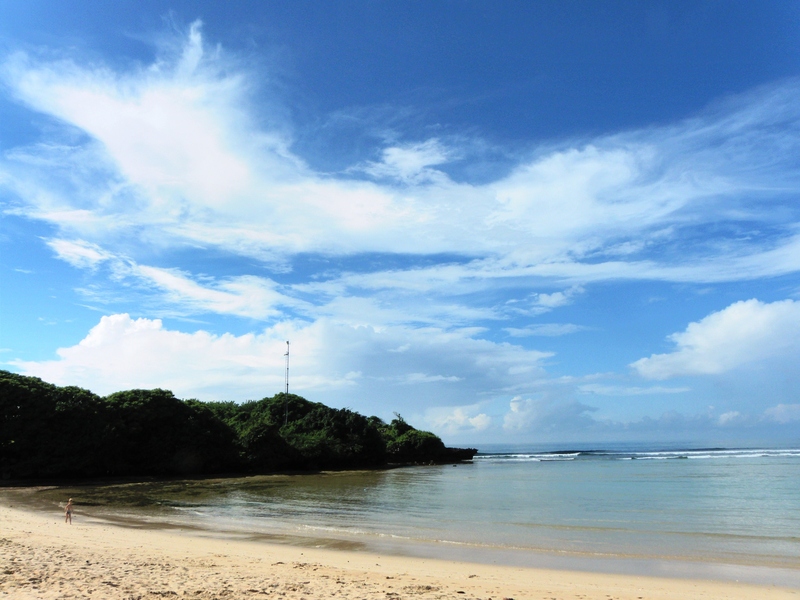 I also love to jog and walk throughout Kuta beach in the morning. at 6 am, before the night’s guys waken up after a till drop party the day before. I brought my camera with me. 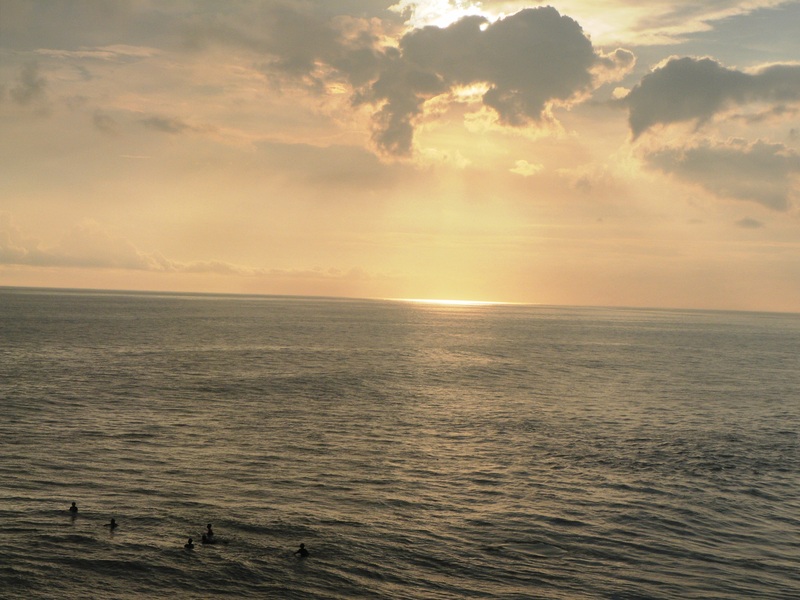 Picturing the glory morning in Bali, through Kuta to seminyak, with so many different etnics mill about. Feels like i was in the other part of the world. Dogs walk with their masters, surfers catching up early morning waves, some old man and his wife walked in peace near the coast holding into each other hand, and also some new married couplse (seems like that). The other professional photografer also brought their camera with a super tele lense, trying to capture the surfer who surf far from side. I felt a little inconfidence with mine 😦 but thats fine. There also some other man and woman who just walked and jog, breathing the fresh air and enjoying the sound of waves splashing into beach sand. When the sun rise a little more, i get back to my hotel and packing and preparing to get back to the real world again..